It’s your body, so you should have access to all of your medical data, right? This morning at the Medicine X session on data and devices, I learned that liberating your own medical data — or devices — will probably not be so simple. The conversation was started by Ben West, a software engineer and co-founder of the Nightscout Project, which supports the creation of open-source technology for people with Type 1 diabetes. He explained that he was given two computers when he was diagnosed with Type 1 diabetes 12 years ago: an insulin pump and a device that tells him how much insulin to take. “These devices are literally in or on our bodies, so my relationship with these devices is extremely personal and intimate. And that’s true for many other patients,” he said. “But computers are programmed by people, so sometimes the computers can do the wrong thing. When something with one of these devices goes haywire — and you get a side effect because of the therapy rather than the disease — to what degree should you be empowered?” He said he believes patients should have the ability to fix or adjust the device themselves. This launched West on his mission to reverse engineer his medical devices and develop open-source software to take control of his personal care. Speaker Karen Sandler, JD, heartedly agreed that developing open-source software for medical devices is critical. She is the executive director of Software Freedom Conservancy, a non-profit organization that develops, promotes and defends open-source software. Her life was changed when she was diagnosed with a life-threatening heart problem and implanted with a defibrillator. 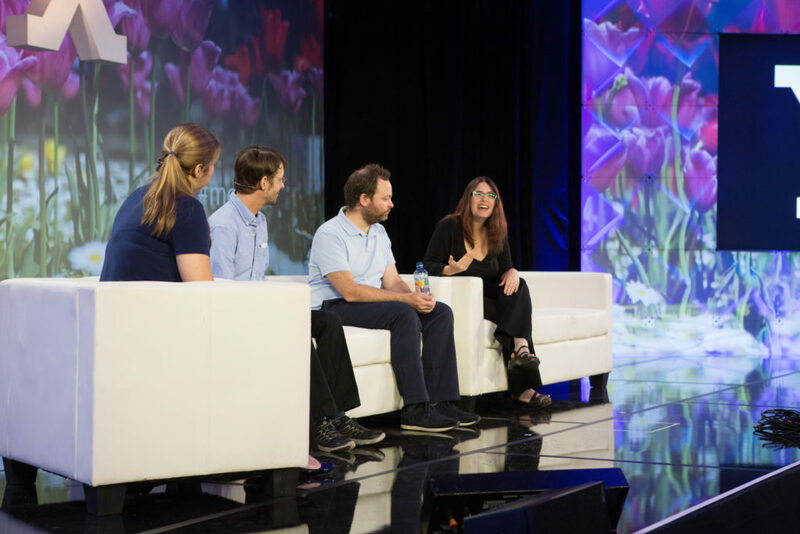 “I went from someone who thought open source was cool and useful to someone who thought great open-source software was essential for our society,” Sandler said. As a self-proclaimed “extreme geek” with technical programming experience, when her doctor gave her the defibrillator, Sandler asked, “what software does it run?” She found out that neither her doctor nor the device’s medical representative had ever thought about the software used on the device. But Sandler said she knew that all software has bugs, needs to be reliably backed up and needs to be protected from hackers. “It’s clear that free and open-source software is better and safer over time,” Sandler explained. “If there is a problem, you don’t have to wait for the manufacturing company to admit the problem and then make and release a fix. With free and open-source software, anyone can make the fix. And that is really, really important, especially when you’re a special case.” Sandler speaks from experience: she was incorrectly shocked twice by her defibrillator when pregnant — a rare happening still in need of a technical solution. “With free open-source software, we remove the reliance on any single company and take back control,” she said. Speaker Cédric Hutchings, co-founder and CEO at Withings, a consumer electronics company that develops health devices and apps, emphasized the importance of patient empowerment. “Empowerment is about getting insights to drive change,” he said, “ and we need to develop insights using population data.” He explained that this requires the involvement of researchers, patients, health-care providers and the community. It’s also essential to be “transparent and set expectations” with patients about how their data will be used. Near the end of the panel discussion, moderator Dana Lewis, director of MDigitalLife, posed the question, “What is the secret sauce for the open-source community?” Perhaps not a secret sauce exactly, but the panelists said that the ability to access their personal data can help overcome a feeling of powerlessness. 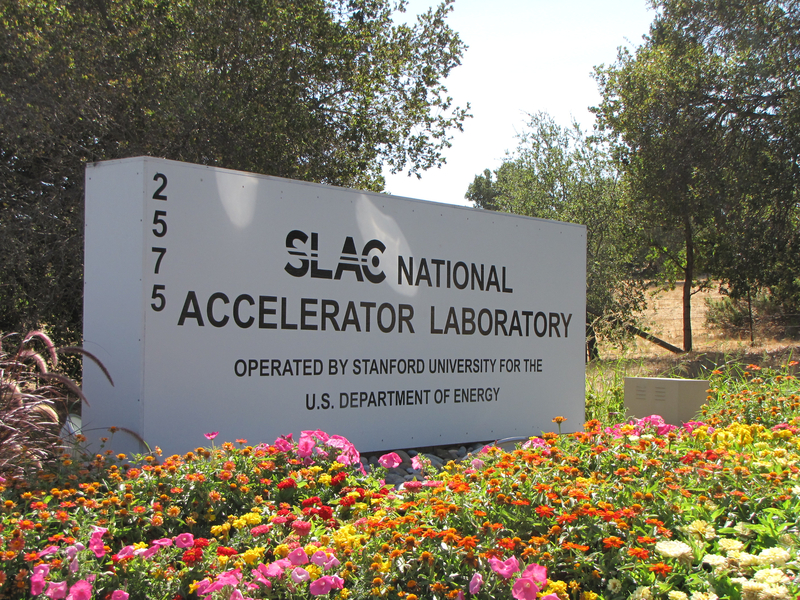 Years ago, I worked at SLAC National Accelerator Laboratory as a graduate student on a high energy physics experiment called SLD. So it was fun to go back to SLAC to speak with former colleagues and new graduate students as they attended this year’s SLAC Summer Institute — a two-week summer school focused on how to unlock the secrets of the current Standard Model theory through new collider physics. Learn more about SLAC’s summer school in my recent news feature.